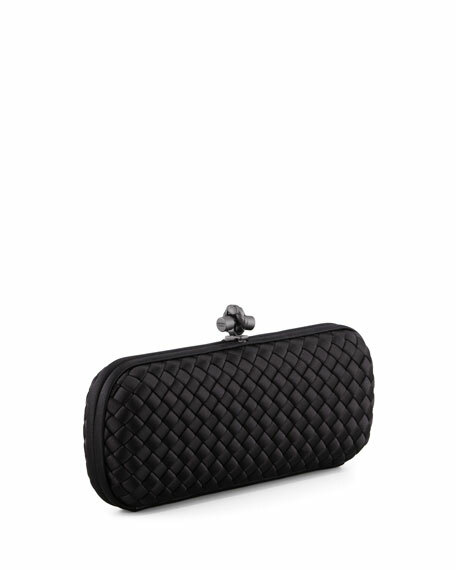 This richly textured Bottega Veneta woven clutch displays the design house's signature subtlety and restraint. 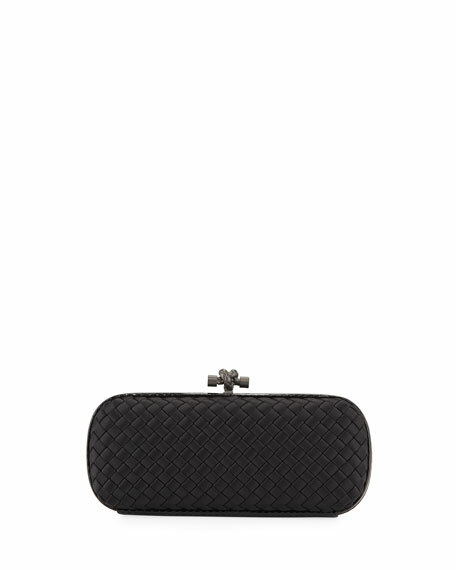 Intrecciato woven silk faille covers structured, hard-shell design. 4"H x 10"W x 2"D.
Christian Louboutin "Loubiblues" clutch bag in maxi leopard-print leather. Removable top handle with Empire spikes. Flap top with snap closure. 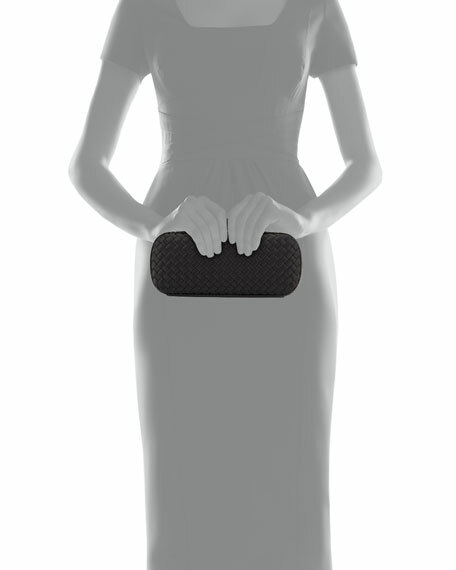 Christian Louboutin "Loubiblues" clutch bag in maxi leopard-print leather. Removable top handle with Empire spikes. Flap top with snap closure. Signature red sole stud and slip pocket at back. Slip pocket under top flap. Interior, signature red lining. Two slip pockets; eight card slots. 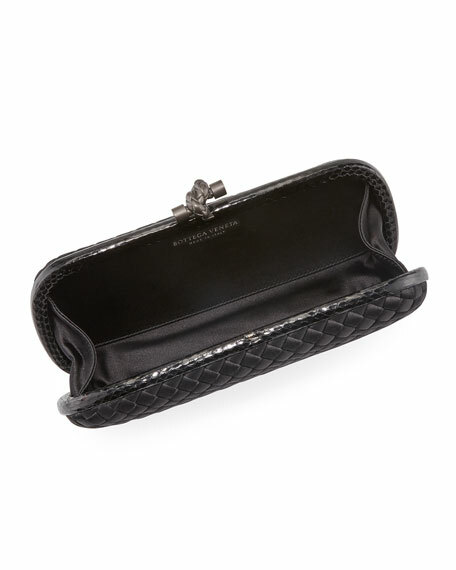 7.5"H x 11"W x 3"D.
Christian Louboutin calfskin clutch with contrast edging. Removable chain shoulder strap. Patent leopard-print sides. Signature spikes adorn flap top. Hidden snap closure. Signature red lining. Compartmentalized interior. Inside: 10 card slots; one zip pocket. 5.5"H x 9.1"W x 2"D. "Paloma" is made in Italy.